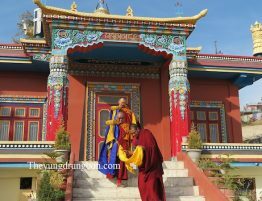 Members of Yeru Bön Center recently had the amazing opportunity to travel to India to visit sMenri Monastery for the 1-year Remembrance Celebration of His Holiness, the 33rdsMenri Trizin and the Enthronement Ceremony of His Holiness, the 34thsMenri Trizin. 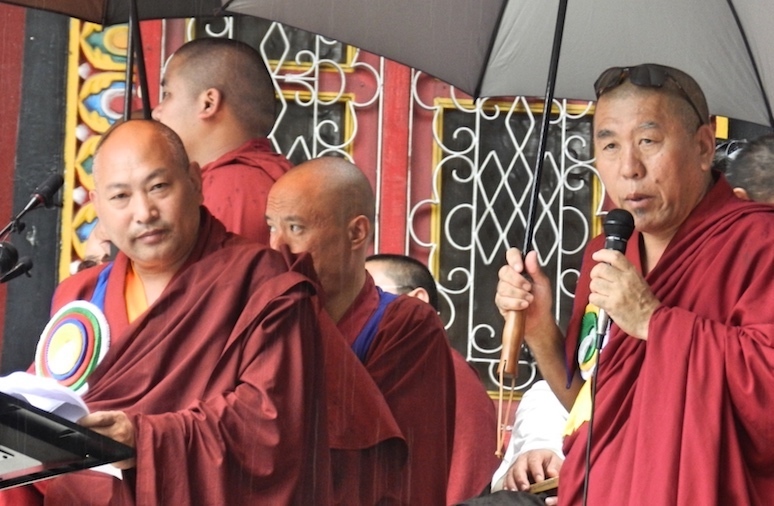 On our final day at sMenri, we had the great privilege of having a Böncast interview with His Holiness. In it, he gives a brief message to all English-speaking Bönpos around the world. 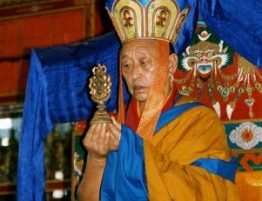 Translating is Latri Nyima Dakpa Rinpoche. There were several other amazing rituals and events during the week we were there. We can’t wait to share them, so there will be several more Böncast recording released in the coming weeks and months as well as other blog posts here and on social media. Listen to the interview and download Böncast to your favorite podcast app by going to doortobon.org. 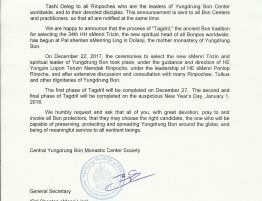 Read the letter from sMenri about the selecting of the new sMenri Trizin. 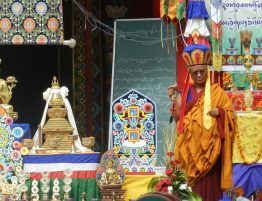 Watch the Cremation Ceremony of His Holiness, the 33rd sMenri Trizin, Lungtok Tenpai Nyima Rinpoche. Letter and Prayer for H.H.